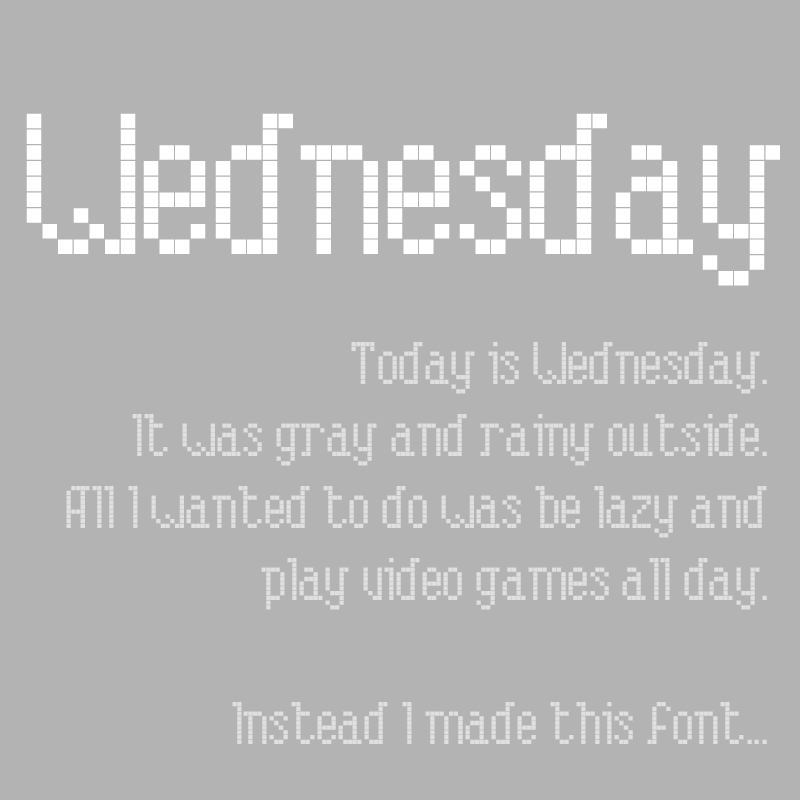 Last night I started working on a pixel font. Lately I have been feeling very unmotivated. Today I woke up and it was raining outside. I wanted to sleep until a ridiculous hour and then get up and play old video games. That did not happen. This is a classy pixel font that has alot of extra characters just in case you need them. It would be easily used for Art, Game Design, Header Titles, Website Embedding, maybe even some Ad Copy. Heck, I'm probably going to use it on my own website. Have fun!